It seems like the promotional campaign for the new Mary J. Blige album is in full swing this week. 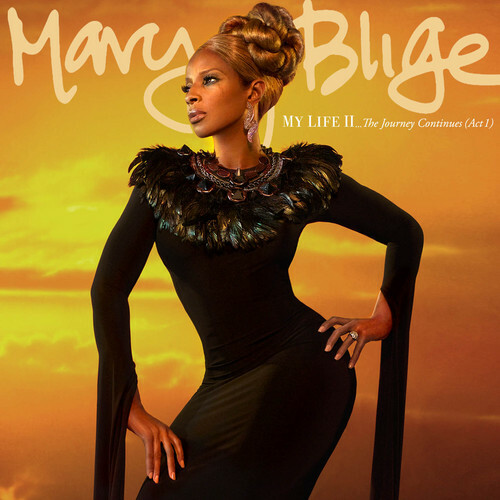 Peep the official cover to her new album My Life II: The Journey Continue (Act I), which she premiered yesterday. Not only did she release the cover to the album, but she performed twice last night on Dancing With the Stars. The album is currently scheduled to hits stores on November 21st, same day as Michael Jackson’s Immortal and Rihanna’s Talk That Talk. Up until this point Mary has yet to deliver a hit single from the album. She is at a point in her career where here fan following is strong enough to deliver the first week numbers, but it would still be in her best interest to deliver a strong single to advance her radio presence. I have a feeling that this won’t be the smash album that it’s being hyped up to be. I think that the R&B/Urban fans will love it. Her sound so far is staying true to who she is, so for that reason I’m excited about the album. But I don’t know if it will have a crossover effect to pop radio. But maybe she doesn’t want that. Mary is one of the only R&B stars that has stayed true to the genre and been successful. Think about ‘Be Without You’, or ‘Just Fine’. She was able to deliver R&B crossover singles before, but her last album, Stronger With Each Tear, failed to do so. Like I said, maybe she wants to only appeal to the R&B fans, which would be refreshing considering that fact that most R&B acts abandoned the genre for dance-pop. Still, the race to hit no. 1 on Nov. 21 is strong, and it will be interesting to see who comes out on top.